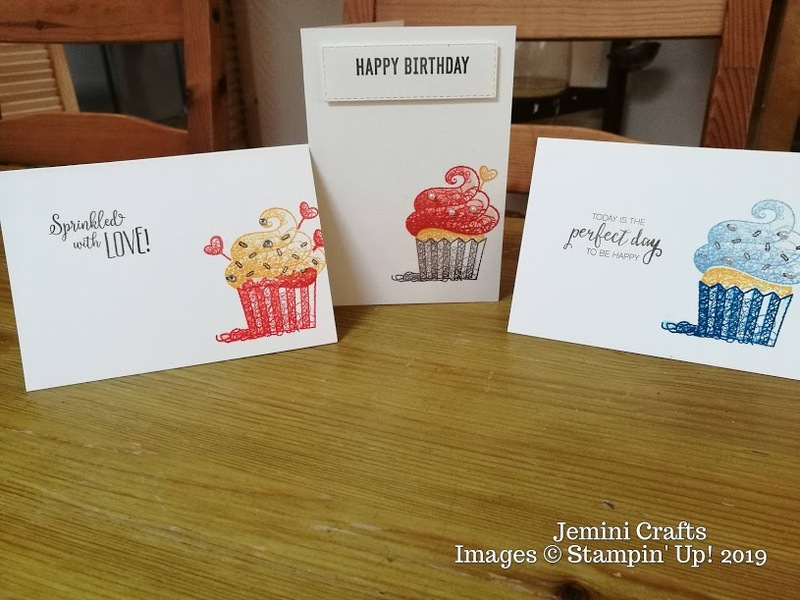 Jemini Crafts: Calorie free cupcakes anyone? I do love cupcakes, especially ones with lovely thick icing, but I don't like the amount of calories they contain! 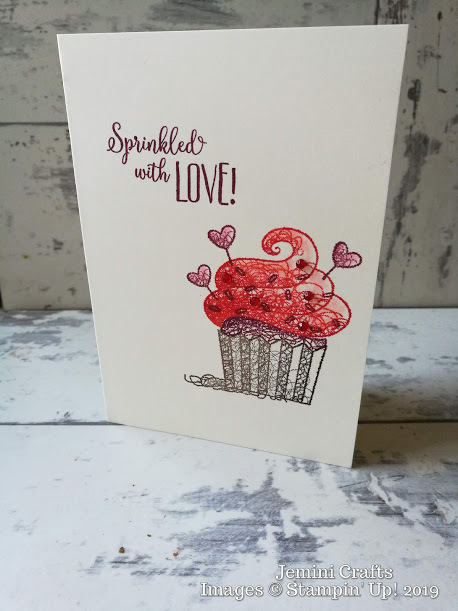 So I decided for coffee and card last week that we would use the FREE Stampin' Up! 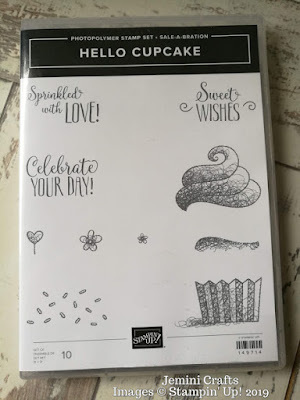 Sale-a-Bration stamp set called Hello Cupcake - calorie FREE! 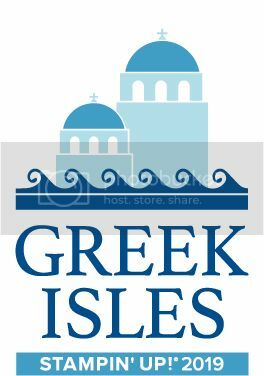 You can click on the image below to see more details. I decided to use our Very Vanilla notecards and envelopes this week, as I thought the vanilla would make the icing more realistic. You can buy these in packs of 20 cut and scored cards and envelopes for just £6.00, which is just 30p per card and envelope. I used some of our brown inks, Soft Suede and Early Espresso for the card on the right - the perfect chocolate cupcake! 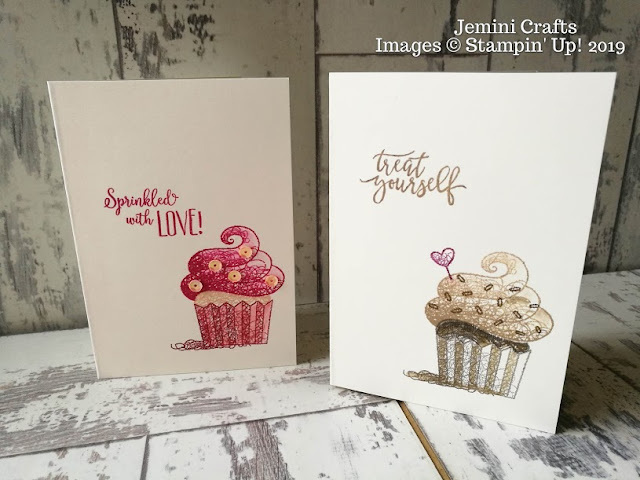 The Treat Yourself sentiment comes from Picture Perfect Birthday stamp set. 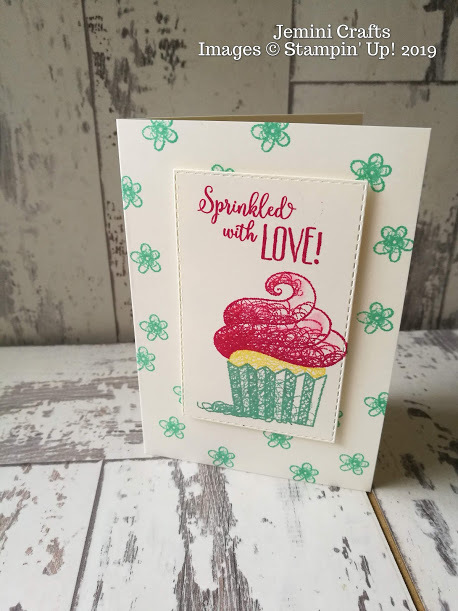 With this card above, we used a Very Vanilla layer cut with our NEW Rectangular Stitched Framelits, stamping the flower in Bermuda Bay as a background layer. 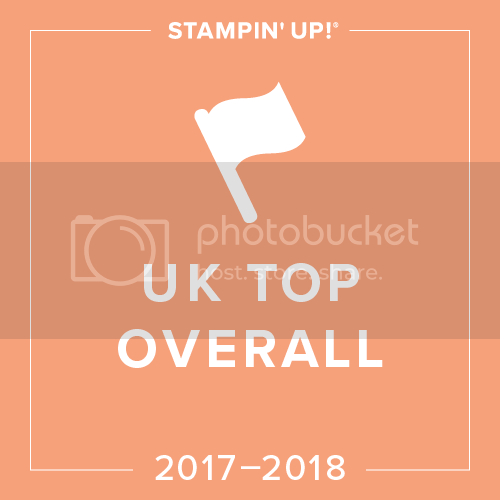 We have another coffee and card session on Monday, so I will have some more cards to share with you - presuming I remember to photograph them of course! So don't forget to check back in later in the week. 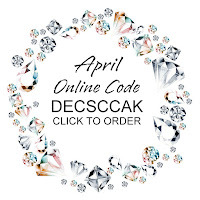 Don't forget you can get this stamp set FREE (from a choice) by spending £45 or more in one order with me before the end 31st March 2019.